Train Jam is a collection of developers traveling via train to the Game Developers Conference and creating games during the ~52 hours it takes to arrive in San Francisco from Chicago. 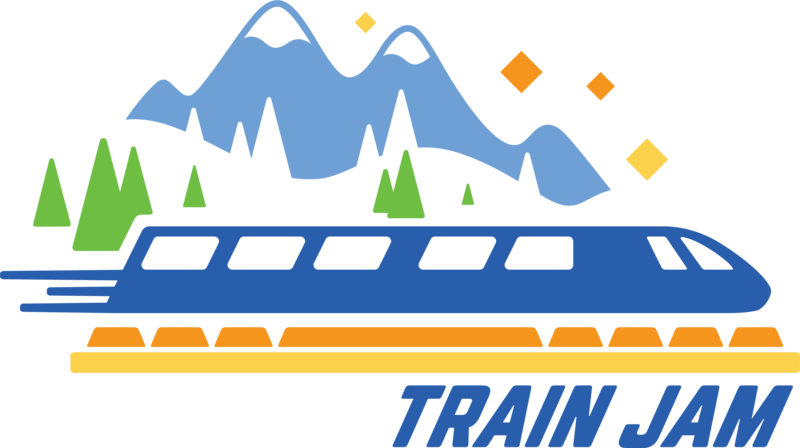 This is the 2017 edition of Train Jam! Solve a murder before it happens! A Train Jam 2017 hand washing simulator. Trigger airhorns, lazers, and vocal samples to elevate the track. Guide your ghost through purgatory and avoid being sent to GHOST HECK! Enemy on your way, Time to take your shot! A point-and-click adventure story about the different forms of love. Competitive 1-on-1 game where you try to grab objectives while manipulating the timeline of your opponent. A super soldier struggles with anxiety. 1 vs 1 standoff game played on a single controller! Space Governor Bradford is back on the campaign trail! Load cannons. Watch boom-booms. Don't run out of crates. Rule the sky. You play as a GPS helping a very confused superhero fight crime around town.